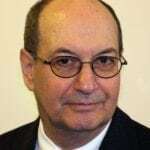 Robert (Bob) Schachter started at NASW-NYC in 1982 and served as the Executive Director of the New York City Chapter of the National Association of Social Workers from 1990 through January 2017. He is now consulting with the masters program in organization, management and leadership and the Strell Executive Fellows Program, both at the Silberman School of Social Work at Hunter College. Bob has also recently developed workshops on professional self care for social workers through enhancing self awareness and resiliency. Collaborated with elected NASW-NYC leadership to encourage social workers to receive training in addressing structural racism. As the founding chair of the Human Service Council’s Racial Equity Workgroup, he engaged over 100 agency CEOs in receiving antiracism training. Co-founded the Latino Social Work Task Force to increase the Latino social work workforce. Guided the Chapter through the passage of the social work licensing statute in New York State. This included consensus building within the profession and creating a historic lobbying alliance with a major labor union, 1199/SEIU. Initiated a lobbying campaign to create the New York State Social Worker Loan Forgiveness Program, enabling licensed social workers to have up to $26,000 in student loans forgiven in exchange for service in critical shortage areas. Prevented the New York City Board of Education from eliminating its school social workers through intervention in federal court, then having the number increased by 30%. Developed the Chapter’s continuing education program following the mandate in state law. 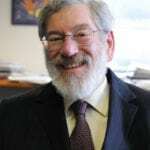 Bob obtained his MSW in 1980 from the Hunter College School of Social Work and subsequently received his doctorate in 1992 from the CUNY Graduate Center. Prior to graduating from college and becoming a social worker, Bob was a NYC taxi driver for six years (1969 to 1975), logging over 150,000 miles on the streets of NYC. 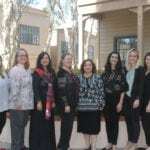 Survivors of Torture, International is an independent nonprofit organization dedicated to caring for survivors of politically motivated torture and their families who live in San Diego County. Since 1997, SURVIVORS has helped survivors to recover from their traumas through a holistic program including mental health, psychiatry, social services, and medical case management. SURVIVORS empowers torture survivors to reclaim the strength and vitality that were stolen from them by brutal dictators and governments. The specialized care SURVIVORS provides these vulnerable individuals helps them to become self-sufficient and healthy members of their families and of our community. Marc Cherna has served as Director of the Allegheny County Department of Human Services (DHS) for 22 years. This integrated department, with a budget of $900 million dollars, serving one out of every five residents, includes programs from cradle to grave. In this role, he has implemented system-wide changes that have resulted in significant improvement in outcomes for the vulnerable residents of the county. Under Mr. Cherna’s direction, the DHS has received numerous awards and national recognition for their work. He has also received many personal awards including the American Public Human Services Association’s Lifetime Achievement Award, the Casey Family Program’s first Lifetime Achievement in Child Welfare Leadership Award, The American Public Human Services Association’s Betsey Rosenbaum award for Excellence in Child Welfare Administration and the Coleman award for Excellence in Community Service from the Institute of Politics. He serves on numerous boards and committees, including the University of Pittsburgh’s School of Social Work’s Board of Visitors, the University of Pittsburgh’s Institute of Politics Board of Fellows, the American Public Human Services Administrators Leadership Council, and until recently he served for a decade on the Mayor of Philadelphia’s Community Oversight Board. Marc began his career in human services as a youth worker over 45 years ago. He has extensive experience in the field, including 13 years as an Assistant Director with the New Jersey Department of Human Services. He received his B.A. degree from the State University of New York at Binghamton and an MSW from the Hunter College School of Social Work in New York City. He has three children and six grandchildren who take up most of his time outside of work. 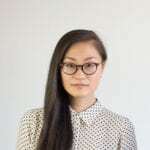 Rebecca Y. Chung, LMSW, is the Program Manager for the Online Campus at the Columbia School of Social Work (CSSW). As digital learning and technology continue to emerge in the world of higher education, Rebecca plays an important role in operationalizing and improving a world-class online program for the next leaders in social work practice and research. In addition to her work at CSSW, Rebecca recently co-founded STYRO Matters, a boutique media agency that uses digital storytelling to contribute to a more socially equitable world. As the current Director of Management and Impact, she oversees all operational, programmatic, and strategic aspects of the agency’s social impact arm. In her role, she strives to build an open impact model that not only partners with local and international organizations but also integrate civic engagement opportunities directly with all her company’s stakeholders. Rebecca’s professional experience ranges across international development, administration and management, strategic planning and programming, policy analysis, and direct service. She has previously worked for the NYC Department of Education, UNICEF, UNDP, the United Nations, and a number of grassroots international organizations. Rebecca also spends her time guest speaking at conferences and workshops, volunteering for social impact initiatives, and providing management consulting for agencies in the for-profit, public, and governmental sectors. She holds a Master of Science in Social Work from Columbia University, with a concentration in Social Enterprise Administration and a field of practice in International Social Welfare. She also holds a Bachelor’s degree in Psychology from the University of California, San Diego, with a double minor concentration in Music and Computer Science and Technology. Rebecca’s experience in and across different sectors and fields provides her with a unique perspective as an active member of the social work community. She is proud to serve her many communities and finds great meaning in her commitment to social justice and equality. SAY San Diego addresses the comprehensive needs of the entire individual or family. SAY engages the community to work collaboratively and works with systems such as law enforcement, schools, and local government to create positive change. SAY San Diego’s holistic approach enriches youth, empowers individuals and families, and engages communities. Antonia Jiménez is the Acting Director for the Department of Public Social Services (DPSS) County of Los Angeles. Having a workforce of nearly 14,000 employees, an annual budget of approximately $4 billion and providing services to over 3.5 million low-income residents, DPSS is the second largest locally-operated social services agency in the nation. Prior to this, Antonia served as the Chief Deputy for DPSS and Deputy Chief Executive Officer for the Children and Families’ Well-Being Cluster. In addition to her career with the County of Los Angeles, she has over 25 years of extensive experience as a senior executive within government and the private sector, ten years working with the Commonwealth of Massachusetts State legislature. She served as the Chief Administrative Officer for the Executive Office of Health and Human Services for Massachusetts where she designed and directed a $2.4 billion effort to reform the purchase of services and served as the Special Assistant to the Governor of Massachusetts and the Chief Financial Officer for Massachusetts’ Executive Office of Education. 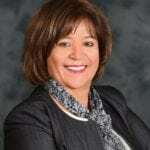 She also worked as a Senior Manager for Deloitte Consulting, undertaking several major projects in New York City, Pennsylvania’s Department of Public Welfare, and Solano County’s Health and Human Services Department. Antonia earned a Bachelor of Science from Emmanuel College and has attended both the program for Senior Managers and the Senior Executive Program at Harvard University’s Kennedy School of Government.